At the heart of the Fort, the magnificent Galle Fort Hotel a luxury boutique hotel holds centuries of history between its walls. Originally a Dutch mansion, it was taken over by gem merchants during the British reign, then restored and renovated into a luxury boutique hotel in 2003. 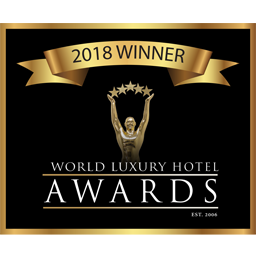 Awarded the Asia Pacific Heritage Award of Distinction by the UNESCO, the hotel remains a model of preservation for all the other businesses in the city. It is largely thanks to an Australian businessman that Sri Lanka’s once decrepit Galle Fort is now one of the country’s most important tourist attractions. Just over ten years ago, Karl Steinberg left Sydney’s film industry to undertake a completely new challenge. 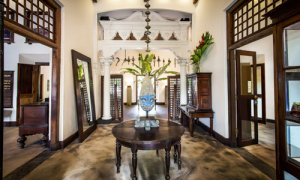 With partner Christopher Ong, Steinberg acquired the largest Dutch-era mansion within the walls of Galle Fort and set out to bring it back to its former magnificence. 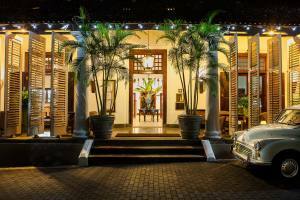 Galle Fort Hotel opened in 2004 and was an immediate success with Sri Lankan and international travellers clamouring for rooms in this elegant property where history and contemporary design coexist in splendid harmony. An atmospheric lobby sets the tone for the entire property Thanks to the valuable spices sought after by Arab, Chinese, and European merchants, Sri Lanka saw all of these cultures establish trading posts and forts to protect them along the coast. Galle Fort, originally built by the Portuguese and subsequently enhanced by the Dutch and British who followed, is the best-preserved European fort in Asia. Now it is a tourist magnet that attracts an interesting mélange of visitors. The culture buff revels in the juxtaposition of one culture upon another in a faraway land; admirers of architecture enjoy seeing the fort’s ramparts and fortifications as well as the old buildings coming back to life after decades of neglect, now operating as hotels, shops, restaurants, and art galleries to keep the less specialised visitor equally entertained. For many decades, Galle Fort was forgotten and run down, but all it took was the foresight of a canny visionary to see the possibilities for one of the most historically significant locations in Asia. 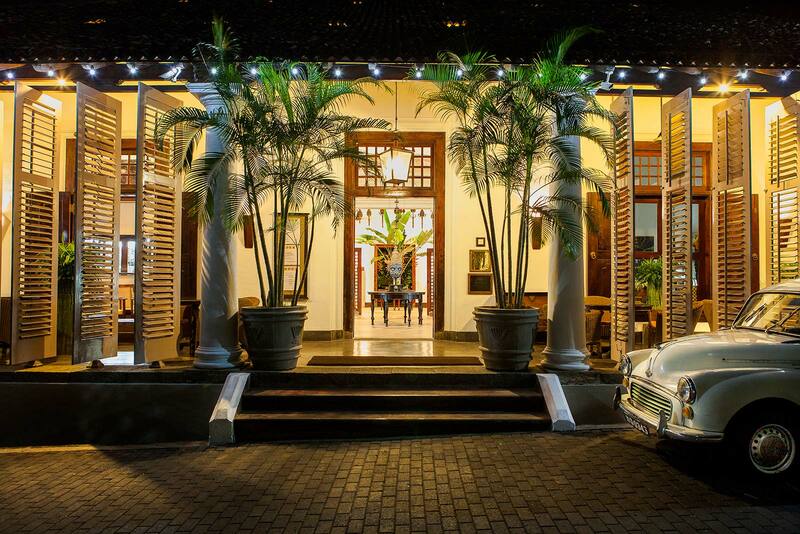 Studiously restored and renovated to accommodate modern-day travellers, rooms and suites at Galle Fort Hotel envelop the guest in a sumptuous surroundings. 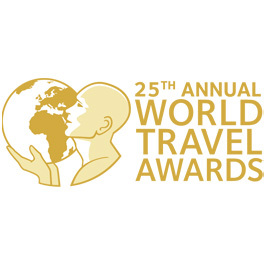 The hotel became the darling of architectural magazines across the world and remains a beacon of inspiration in restoration of historical properties in Sri Lanka and beyond; people come from far and wide to witness what can be done with a big, old house and some imagination. 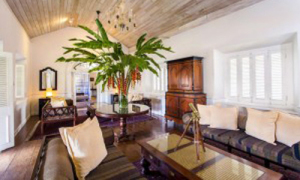 The atmospheric rooms of Galle Fort Hotel vary in size and style, but all of them present guests with memorable accommodation whether in the Porcelain Suite, the Chinese-influenced Admiral Cheng Ho Suite, or the traditional Grand Apartment where antique Dutch furniture recreates a sense of a bygone era in a spacious two-bedroom suite. The hotel’s dining room provides an ideal venue to enjoy the excellent food of Sri Lanka, where the various cultural influences have left their marks on the local cuisine. Although Steinberg has moved on to other projects, Galle Fort Hotel remains in the capable hands of another Australian, General Manager David Elgar, who oversees operations with refined expertise. Though most closely and most obviously associated with its home country of Malaysia, Air Asia X offers Flatbed Class service to several destinations in Asia beyond Kuala Lumpur, Sri Lanka’s capital Colombo being one of them.